Whether you absolutely love or hate the color combination of mint green and black you certainly can’t deny the combo is trending of late. Home design and lifestyle blog Apartment Therapy even declared the combination the “Freshest Color Combination of 2017,” with the color combination highlighted in bathrooms, bedrooms and living rooms. While the color duo might be one of the hottest color trends this year, the pairing is not entirely a new one. 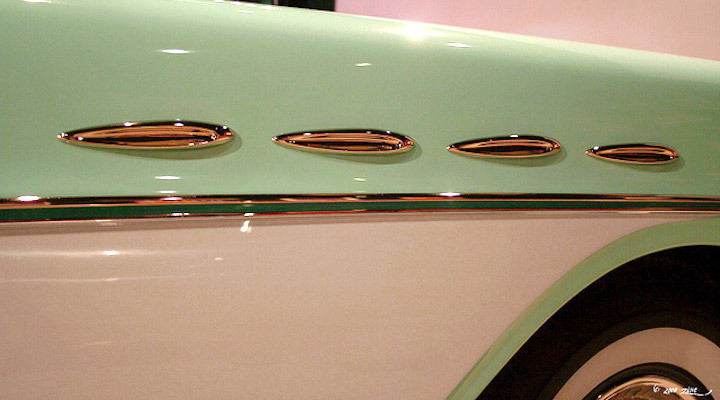 Mint green and black were a popular color combination during the Art Deco era. Many a tiled bathroom, in residential and commercial structures, sport the colors. Similarly, the color scheme was big in the 1950s. Soft, pastel colors - those that complemented Mamie Eisenhower pink - could be found virtually everywhere. 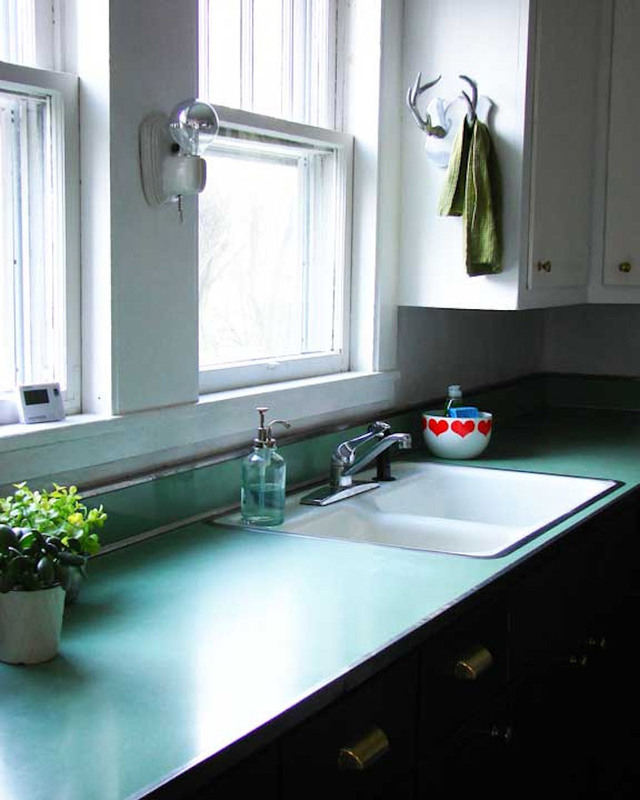 Mint green (and closely linked shades of turquoise) popped up in bathrooms, kitchens, on appliances, and even on automobiles. In both of these eras, mint green was often paired with black in order to create a striking contrast. 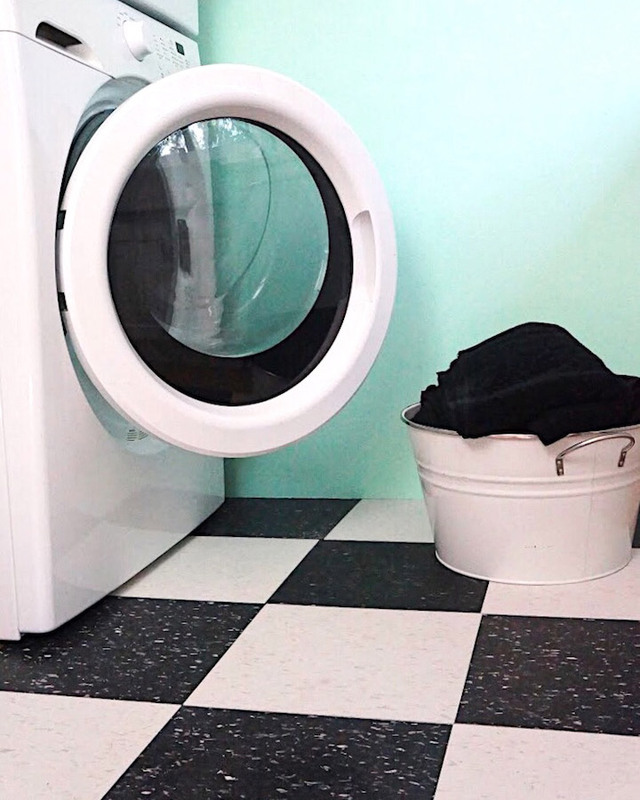 A perfect example of this is checkered black and white floors in vintage mint green kitchens. Mint and black are rooted in our past, effectively a part of our collective color memory. 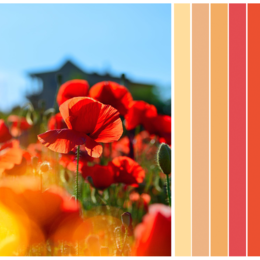 By revisiting these colors in a fresh way, you can re-create classic stories meant for today’s lifestyles. Dunn-Edwards Paints offers the highest quality paint trusted by both design experts and painting professionals. So whether you’re searching for a historically accurate color palette to or a more modern take on this classic color combination, we’ve got the colors you’re looking for. Among our vast variety of mint green hues are Faint Clover (DE5674), Creamy Mint (DE5632) and Mint Condition (DE5679) just to name a few favorites. To balance out the pop of color, consider some of our favorite black paint colors such as Black Tie (DE6357), Black (DEA187), and Salem Black (DE6343). 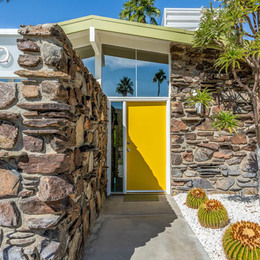 You can’t go wrong this retro-inspired color palette. Mint and black are no longer just for bathrooms and kitchens. The color combination can easily make any room come to life - and it’s versatile enough for even the most modern of spaces. 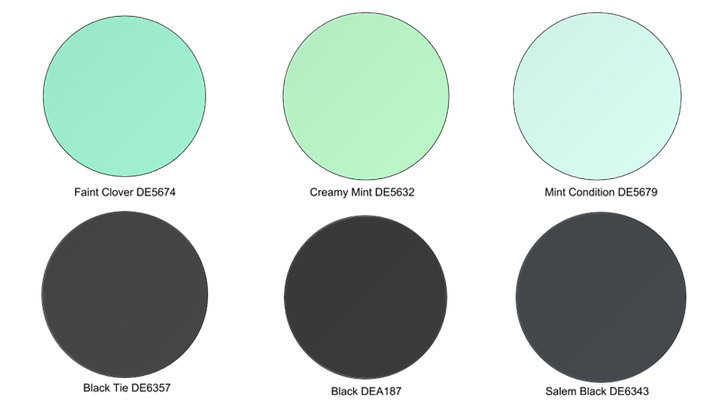 Having trouble narrowing down your top mint and black choices? 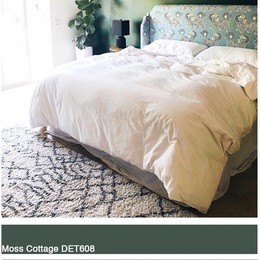 Download our Insta-Color® app for a little help envisioning paint colors in your space. 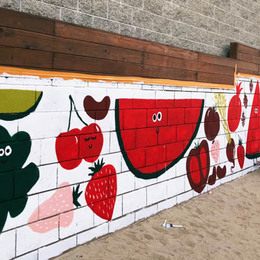 Just upload a photo of your space or choose one of ours, and give the space an instant, virtual paint job.